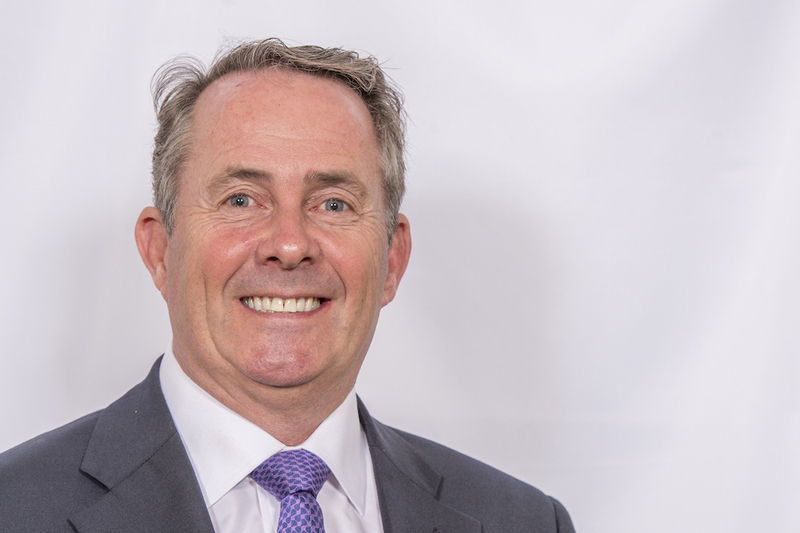 Below is the text of the speech made by Liam Fox, the Secretary of State for International Trade, in Bogota, Colombia on 23 August 2017. It is a pleasure to be here today in Bogota. More than two centuries ago Simón Bolivar came to London to seek British support for Colombian independence; he returned with seven thousand British soldiers, who fought for Colombia, along with substantial financial and technological support for the cause. British engineers constructed Colombia’s network of railways and other heavy industry, stimulating economic development. The United Kingdom supported Colombia from its very first days as a fledgling nation, and it is from these bonds of friendship that the UK and Colombia have built a great partnership that endures to this day, as our two nations remain key partners on the world stage. Last year, soon after I was appointed Secretary of State, I had the honour to speak alongside President Santos during his very successful state visit to the United Kingdom. I talked then about how the bonds of history have continued to unite our two countries. We have remained close partners on defence and security. According to your own official figures, the UK has been Colombia’s third largest foreign investor over the past decade, and our trading relationship was worth over one billion pounds in 2015. But it is also fair to say that British business has not developed and nurtured this relationship as well as we might have done. Our trade in goods with Colombia is behind the likes of France, Germany and Spain. So today my message to British business is this; we need to redouble our efforts to re-forge this close bond, for Colombia is in the process of implementing an historic peace agreement which could transform its economic performance. At our country our own painful experiences of the troubles in Northern Ireland have taught us that peace processes are never easy. They take courage and resilience, but that the rewards that come for a lasting and sustainable peace are worth the years of negotiations and reconciliation. I am here today because the United Kingdom wants to partner Colombia, helping your nation to realize the dividends of peace, and working to transform the country. We are supporting Colombia reach its full potential and generate prosperity. During last year’s state visit we announced the creation of a £25m Prosperity Fund to promote prosperity and economic development in the areas affected by the conflict, and to support Colombia in reaching the full benefits of peace. The programme will focus on urban development, transport infrastructure, capacity building, anti-corruption and increasing the agricultural competitiveness. Our trading relationship continues to expand. Total trade in goods and services between the UK and Colombia totalled £1.3bn in 2015 – an 11.8% increase from the year before. Like the UK, Colombia is committed to fiscal prudence, sound governance, and a commitment to free trade. With 16 free trade agreements already in place, your economy is among the most open in Latin America. Combined with a 4% average growth rate over the past decade, and it is easy to see why Colombia is widely seen as one of the brightest prospects in the Americas. When British companies arrive in Colombia, they can be transformational. KPMG has recently been awarded a contract to undertake financial structuring of the new Metro here in Bogota, a project that will have a very real impact on the lives of 10 million Colombians. Holtrade have recently reached an agreement with Fenoco, the central rail concession, to become the first private operator in recent history to transport freight across the Central and Caribbean regions, revolutionising Colombian freight capacity. Red Leopard and Cerromatoso, a subsidiary of the UK company South 32, have both announced major new expansions in their coal and nickel mining projects. And Currie & Brown have been awarded the contract to undertake the technical structuring of Bogota’s largest and most ambitious health project – the regeneration and construction of 6 hospitals through Public Private Partnership. This is the first project of its kind in Colombia. And it is not just the physical infrastructure of Colombia that UK companies are investing in. For more than 80 years, the British Council Colombia has supported the development of quality education, and promoted English language proficiency across the country. Moreover, the British Council it´s currently working with young people across Colombia to build upon the opportunities brought by peace. These examples are only the tip of the iceberg, yet they illustrate how some of the UK’s strongest areas of expertise – financial services, transport, mineral extraction, healthcare, and education – have the capacity to rapidly transform the lives of Colombian citizens. Despite all this, we want to maintain and expand such relationships, the United Kingdom itself must continue to be a sure and stable commercial partner to Colombia. As I’m sure you will all be aware, the United Kingdom is currently negotiating our withdrawal from the European Union. There has been speculation in some sections of the media, here in Colombia as well as in the United Kingdom, that last year’s vote to leave was a symptom of insularity, and that the United Kingdom would be withdrawing from the world stage, abdicating our international responsibilities and severing ties with Europe and the world. I am here to tell you that nothing, absolutely nothing, could be further from the truth. Last year’s vote was about looking beyond the boundaries of Europe to the wider world. The government’s ambition is not to create a ‘little England’, but a truly Global Britain. Our country will become, once again, the greatest champion of global free trade, renewing our partnerships with new friends and new allies alike to spread prosperity to every corner of the world. What lies at the heart of this vision? Why have we made it our mission to champion global free trade? There are, of course, the macroeconomic benefits of free trade. Making it easier for UK businesses to sell overseas, and for foreign companies to operate in the UK, stimulates the economy. Analysis by the OECD has indicated that a 10% increase in economic openness is associated with a 4% increase in output per head of the working population. Yet the case for free trade is much wider. A better availability of products has brought cheaper goods and services to consumers across the world, raising living standards and making incomes go further. Economic interdependence reduces the risk of conflict, as prosperity weakens the grip of authoritarian leaders and commercial ties remove the incentives to have conflicts with one another. And, perhaps most importantly, liberalised trade practices have lifted millions from poverty across the globe. There has been no greater liberator of the world’s poor than free and open international trade. It is perhaps true that businesses have been more adept at seeing the inherent opportunities of free trade, while governments have tend to see the risks. That is why the UK intends to lead by example in promoting free trade from the highest levels of government. For those countries like the UK who have grown rich from global trade, there is a moral duty to ensure that those same freedoms are extended to developing nations. Soon, the UK will be in a unique position to influence the spread of global free trade. For the first time in more than four decades, we will have a fully independent trade policy. Crucially, this will allow us to negotiate free trade agreements with new partners across the world, including those rapidly developing and expanding economies that will drive the global economy and global growth in the 21st Century. The UK will become a global trade hub, leading by example to ensure that the world economy remains open and interconnected. We will also regain our independent seat at the World Trade Organisation in Geneva. As one of the world’s largest economies, this will not only allow us a new forum in which to promote and protect free trade, but gives Britain a role in safeguarding the rules-based international order which drives global prosperity. My own department for International Trade is a symbol of these ambitions. Created mere weeks after last year’s referendum, our task is to build these relationships, and to ensure that the United Kingdom remains open, outward-looking, and internationalist. Yet this vision for Britain does not mean turning our back on Europe. Indeed, we want nothing more than to be the closest partners of a successful and prosperous European Union, maintaining those mutually beneficial commercial relationships upon which many international companies, including those from Colombia, rely. Throughout the period of our withdrawal, our watchwords will be stability, continuity and transparency. We know how important certainty is to the global trading environment, and we will strive to ensure that consistency is maintained at all times. That is why, as we leave the European Union, it is our strongest desire to maintain the same privileged relationship that our countries currently enjoy under the EU FTA, replicating as far as possible our existing trading terms. If Britain is to be a global leader in free trade, then we cannot, and will not, begin by erecting barriers that do not exist today. So I am here today to reassure you that the UK will continue to be prosperous. The UK will continue to be at the heart of global trade. And the UK will continue to be the premier destination for Colombian investment. The Department for International Trade is taking steps to ensure that these ambitions that we have are supported by our actions. I am pleased to announce that support from UK Export Finance for trade with Colombia will increase to £4.5 billion. This makes billions of pounds of additional financial support available to both UK exporters, and buyers of UK goods and services in Colombia, opening vast opportunities for British and Colombian businesses alike. As globalisation and new technology continue to eliminate the barriers of distance and time, the UK stands ready to help Colombia harness this power. Technology, Data, FinTech and Scientific Research are areas in which the UK excels. Firms across Britain are ready to bring their expertise to bear, expanding new industries across Colombia and South America. IT services company Endava has just opened a new Software Development and Innovation Centre in Bogota, with plans to grow to at least 500 staff over the next few years, a training programme that invests in Colombia’s future. And Genius Sports, one of the fastest growing sports data and technology companies in the world, have decided to establish their South American Tech Hub in Medellín, to capitalise, they say, “on the enormous wealth of highly qualified tech workers available there”. They also freely admit that “the inspiration behind this investment came from President Santos’s ‘Legacy of Peace’ Speech in 2016”. Across almost every industry, UK companies stand shoulder-to-shoulder with Colombia. Yet there is always more for us to do. So I am here this morning not only to celebrate the past strength of the UK-Colombia relationship, but also to embrace the opportunities of the future. As Colombia marks the transition to peace, the United Kingdom too is opening a new chapter in our future, one that will be founded upon economic openness, free trade, and a firm embrace of global opportunities. It is an ambition for Britain which cannot be realised without the support and friendship of our allies. Those nations who recognise and embrace the importance of free trade must work tirelessly to strengthen the argument, leading by example and showing a world a path to prosperity that lies not in the protectionism, but in economic openness. In this, the UK and Colombia are natural partners. There may be challenges ahead, but if we remain true to these principles then we can build a safe and prosperous future for Britain, Colombia, and the rest of the world.